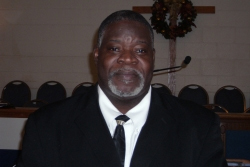 The mission of True Love Missionary Baptist Church is to bring believers back to their first love and to reach out to those who do not know Him, through bold preaching and teaching of the Gospel of Jesus Christ. God has blessed True Love with three associate ministers in addition to Pastor Levy. The associate ministers assist Pastor Levy with various ministries within and outside of the church. They have been called by God to preach and teach the Gospel of Jesus Christ. Several of the True Love members have committed themselves to assisting Pastor Levy with his pastoral needs. Members of the TLMBC's Love Committee reach out to the entire congregation as an ongoing effort of taking care of our pastor. In 1980, Dea. Riley became a founding member of True Love Missionary Baptist Church. 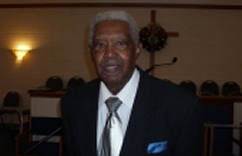 He has served on the Deacon Board since the establishment of the church. 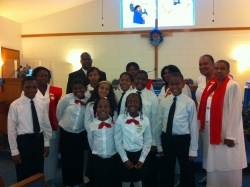 He continues to serve as a Sunday School instructor and sings with the Male Chorus, Gospel and Mass Choirs. Sis. Carr has been a member of True Love for 13 years. For the past eight years, Sis. 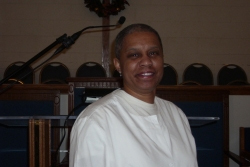 Carr has chaired the community outreach ministry. The ministry sponsors a Thanksgiving Community meal feeding many in the immediate neighborhood of the church. The mission society continues to lead our outreach ministries. The Mission Ministry is instrumental in our new outreach facilities and services. From this location, outreach services are rendered to the community. The mission society provides free clothing give-a-way during the months of June - August. Clothes that are "new to gently used" are donated and given to single mothers with children and adults that may need the items.The mission society coordinates the annual "block ministry" sponsoring free back-to-school supplies and health screenings for school aged children living in the area of the church. 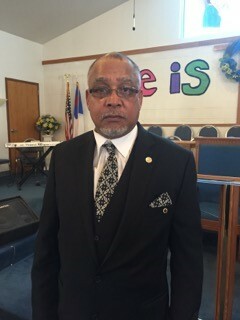 Reverend Sanders has been the superintendent for 9 years. 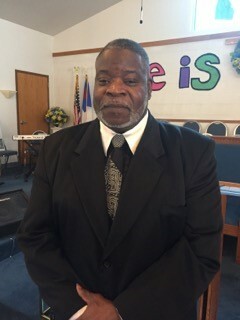 As Sunday School superintendent, Reverend Sanders works with Pastor Levy to insure Christian Educational activities for the Church. The superintendent oversees the Youth Department, and facilitates the instructors' meetings. Members of the Sunday School Department are active in the Congress of Christian Education -General Baptist State Convention of WI, Inc. The Hospitality Ministry (Adult and Youth Ushers and Nurses) of True Love Missionary Baptist Church will be the first "friend" you will meet when you enter our church. If you've never been to our church before, members of the Hospitality Ministry will welcome you and assure that you feel at home. If you are interested in sharing your spiritual gift of hospitality, and meeting all the members of the True Love family, the Hospitality Ministry is awaiting you! © Copyright 2019 True Love Missionary Bapist Church.